All citizens from Belgium, Denmark, Finland, France, Greece, Ireland, Italy, Luxembourg, Malta, the Netherlands, Austria, Portugal, Spain, Sweden, the United Kingdom and Cyprus do not need a special work permit for Germany. This means you have the same rights as the Germans. The only exception are all citizens from the new EU members with transition period like Bulgaria, Estonia, Latvia, Lithuania, Poland, Romania, Slovakia, Slovenia, the Czech Republic and Hungary. Working in Germany for people of those EU members is still not easy: they still need a work permit for Germany. Please contact the responsible job agency (Agentur für Arbeit) in your city and apply for Arbeitsgenehmigung-EU (EU employment permit). Independent of the Working Permit all EU citizens should consider getting an "EU residency permit". This step is actually very easy for you (old and new EU members). Just visit the Ausländerbehörde (the public authority office responsible for aliens) with your passport or national identity card to get your "Freizügigkeitsbescheinigung". 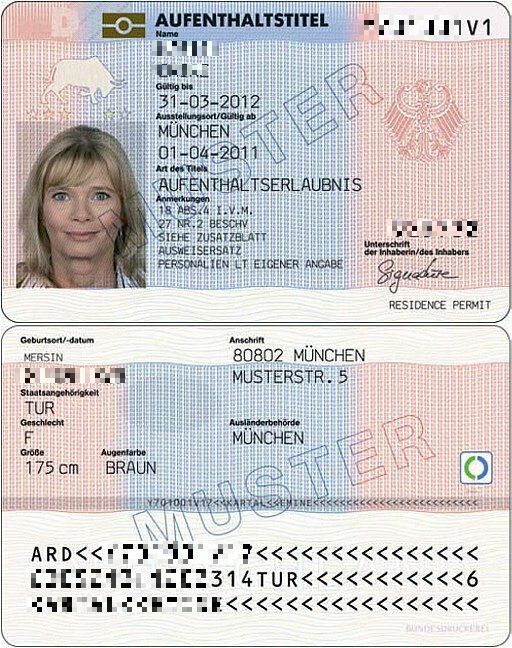 Foreigners who are not nationals of a Member State of the European Union (EU) or the European Economic Area or Switzerland should apply first for a residence permit. Working in Germany may only be exercised when your residence permit allows this. To check this on your own, please read carefully your "residence permit" and look for the following remark: "Erwerbstätigkeit gestattet". If you don't have this remark, you should visit again the German Ausländerbehörde and eventually apply again. Normally before entering Germany all nationals should visit first the German embassy in their country and get a german Visa(Visum). The only exception are Nationals of Australia, Israel, Japan, Canada, South Korea, New Zealand and the United States of America USA: they can get the necessary residence permit also after entering Germany by visiting the immigration authorities in Germany (Ausländerbehörde).